Members of the McGill community – especially those within the Faculty of Dentistry – were deeply saddened by the news of the sudden passing of Dr. James Lund, who died peacefully in his sleep on Dec. 8. The former Dean of Dentistry and a member of the CIHR Group in Neurological Sciences, Lund was highly regarded as a researcher and an academic leader whose energy and vision helped reestablish the Faculty as one of the nation’s most vibrant and well-respected dental schools. 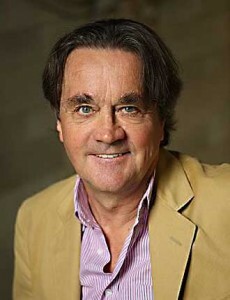 Lund was born in Lancashire, England in 1942 and moved with his family to Southern Australia in 1957. A former Aussie Rules footballer, Lind once joked, “It’s not a good game for dentists to play,” while wiggling digits that jutted at unnatural angles. Lund earned his Bachelor of Dental Science in 1966 from the University of Adelaide and after a brief private dental practice in Mt. Gambier, South Australia, came to the University of Western Ontario. It was there that he received a PhD in Physiology in 1971 and began his life of research. He went on to the Université de Montréal where he enjoyed a distinguished 24-year career culminating in an eight-year appointment as the Vice-Dean for Research in their Faculty of Dentistry. In 1995, Lund was appointed Dean of the Faculty of Dentistry at McGill, a position that he held until June of last year. It was a challenging time for the Faculty but under Lund’s leadership, the DMD program at McGill was completely restructured. A champion of interdisciplinary research, Lund played a leading role in the establishment of several multidisciplinary centres at McGill, including the Centre for Bone and Periodontal Research, the Centre for Biorecognition and Biosensors and the Alan Edwards Centre for Research on Pain. “We hope that we can prove to the government that one viable option to deliver dental care to the population at a relatively low cost is to create community clinics and staff them with graduating dentists,” he continued. In recognition of his work in establishing the Outreach Program, Lund was awarded a Medal by the Carrefour des Communités du Québec. In addition, the Outreach Program was awarded a Prix Qualité par L’Association des CLSC et CHSLD du Québec in 2003, and a Silver Medal of Excellence by the Canadian Council for the Advancement of Education in 2005. Lund is also a member of the Canadian Academy of Health Sciences. Beyond his role as an excellent researcher and academic leader, Lund was an outstanding mentor to people at all levels of career development from undergraduate and postgraduate students to junior academic staff and peers in administrative positions. Through his nearly 40 years in academic life he has helped bring the best out of an incredible number of people who sought his advice and used him as an example of energy, enthusiasm and leadership. Lund is survived by his wife Dr. Jocelyne Feine, his daughters Michelle and Katherine and his grandchildren Laura and Mihai. A memorial for James Lund will be held at the Mount Royal Funeral Complex at 1297 chemin de la Forêt on Sunday on Dec. 13 at 2 p.m. A reception will follow. In lieu of flowers, the family is requesting donations to the McGill University Faculty of Dentistry.